After studying my own success and other likeminded peoples’ strategies, I thought it would be worthwhile to share these with you too for you to implement. People who are more successful use their time to ‘get the job done’. They work to make their goals a reality, not just to get the pay cheque and blow it all on something they don’t need. Successful people always have their ultimate goal in mind, and use every minute they can working towards that goal and don’t give up. The drive of successful people is what gets them there, they want success that much that they won’t give up and will put in the hours to get there. Ask yourself, are you willing to work overtime, give up the dinner outing and new pair of shoes that will satisfy your short term desires to make it to the big success? Those who want success more than anything don’t complain about their life for what it is just now, as they know what the long term rewards will be. 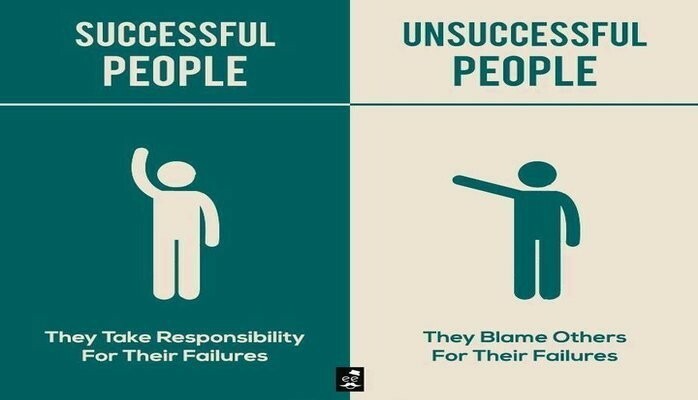 Successful people know, that making excuses doesn’t change anything, it won’t help them reach their goal and that they can’t go on blaming existential circumstances as they know that by keeping a goal in mind no matter what, they’ll make it. Any issue or block in the road is your opportunity to overcome! It’s a lesson to be learned and a good learning opportunity. Successful people know that complaining and not willing to work on overcoming it will stop them from achieving their goal. Start working on your view of these roadblocks and see them as an opportunity and you’ll quickly see how your journey to success becomes shorter. Every successful person I know has a list, a note in their pocket, a saved note in their phone, a vision board above their desk, a list on their fridge – they all have something that they read every day or look at and focus on. This list is a goal list – a vision of what they want in their future and each time they achieve that goal it’s another tick on the list to see. Having a focus on what you want and a constant reminder of why you’re pushing yourself so much is always your best cheerleader when you need that extra shove. After all, we need an incentive, as humans we need rewarded and seeing those rewards and goals come to fruition is what makes it worth it. As those who have read my book “Fail Your Way to Success” know me personally, you all know that the reason I succeeded is through failure. I am not alone to this concept though. Every successful person has failed but where they stand in life compared to unsuccessful people is the drive. The drive to push themselves forward and learn from the failure. As always, when you’re at the top, there’s nowhere else to go and you can’t learn anymore. That’s why life gives us challenges and setbacks, because you need to be reminded of what you’ve come from and where you’re going. It makes you appreciate the success all the more. Take these lessons in your stride and you’ll see yourself push past those who dream but aren’t willing to work past the hiccups and you’ll succeed far more than anyone else.